New to hardware product development? Ready to take your idea from concept to mass production? Read the first chapter, or sign up for our mailing list to download a free PDF. You can also buy the paperback or Kindle editions on Amazon. "At MIT, we like to think that our engineering students know everything about the technical side of starting a company, and all they need to learn is the business side. The reality is that they don't always have the time and opportunity to experience all the work that goes into developing a quality hardware product. Elaine has taken her broad experience and boiled it down to a roadmap that can help a new hardware entrepreneur know what to expect and to plan for success. It has lots of wisdom from experience, and it brings this to the reader in a very practical and useful manner. An extremely valuable read for the hardware entrepreneur." "Elaine Chen brings lessons from years of leadership building hardware to help the rest of us avoid the most common pitfalls hardware startups face. Hardware takes longer, is less flexible to develop and mistakes are difficult to correct. Learning from Elaine's experience, readers will take away practical techniques that she's used to successfully build wireless controllers, quantified self wearables, and industrial robots." "Most first-time hardware entrepreneurs view product development as two steps: prototype then manufacture. Elaine does a superb job of breaking down this false pretense and exposing the complex, multifaceted approach to building great hardware products with a small team. There aren't many books out there that provide practical help for hardware startups, this one is surely a must-read for any aspiring hardware founder." "Elaine draws on years of experience to provide a clear and concise handbook for companies developing consumer electronic products. In this playbook, she helps companies avoid common pitfalls and navigate the challenges of bringing new hardware products to life. It's a must read for both first time hardware entrepreneurs as well as seasoned veterans who want to fill in gaps in their experience." "Most hardware entrepreneurs have experience in software. And software entrepreneurs have been spoiled. With agile, lean, modern platforms - software moves fast. Zuck's motto of move fast break things works with software. Hardware is a completely different beast. Breaking things equals expensive recalls! And customers have high expectations for product quality - even from first generation products. Elaine cogently lays out how to build hardware. This is a guide that anyone transitioning from software to hardware should keep close!" "This is my go-to reference for all my MIT hardware startups. It takes you through the entire process, in excellent detail, of how to do hardware the right way. I highly recommend it!" 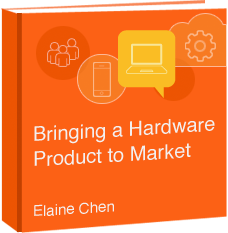 "Elaine Chen has managed to address the greatest challenge facing hardware start-ups in a concise manner. Generating great ideas can be accomplished handily during any brainstorming session. The path to product realization however, is akin to climbing Mt. Everest, and doing so before you freeze and run out of provisions. Elaine's step by step guide provides the right amount of theory, practical advice, and doses of reality to accelerate your product to market, and to do so while meeting quality and cost goals. Got an idea for the next big thing. Go ahead and jump off the entrepreneurial cliff, but be sure to read this guide so you can dodge the obstacles and safely land in success." Elaine is a startup veteran and corporate entrepreneurship consultant who has brought numerous high tech products to market. She has served at the VP level at 6 companies, including Rethink Robotics, Zeo, Zeemote and SensAble Technologies. She holds 22 patents. 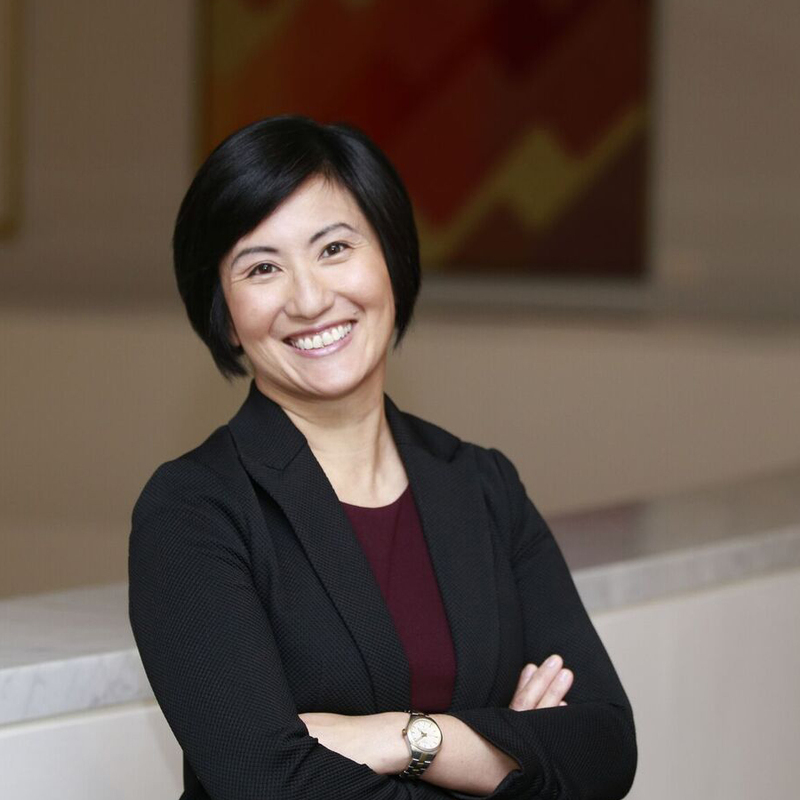 As Founder and Managing Director of ConceptSpring, Elaine helps corporate leaders create organizational structures and processes to build new ventures with the speed of a startup. She is also a Senior Lecturer and Entrepreneur-in-Residence at MIT, where she teaches innovation and entrepreneurship in startup and corporate settings. She is an author and keynote speaker who has addressed audiences all over the world.